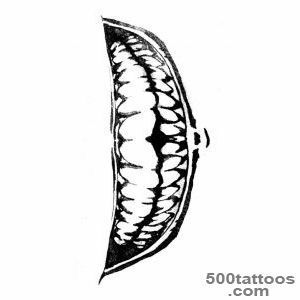 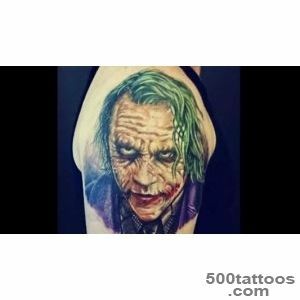 Tattoo Joker appeared relatively recently, the demand for it is not so often, but it does not detract from its special meaning and significance, which is absent in other tattoos. 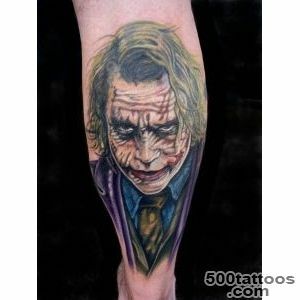 This tattoo shows the limitless desire of its owner to passion and dangerous game. 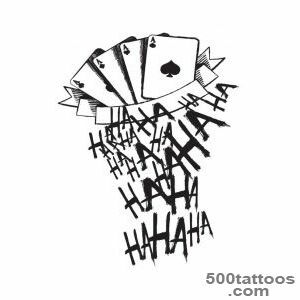 Joker characterized by frequent changes of states, from happiness to unhappiness, from kindness to malice,the generosity to theft. 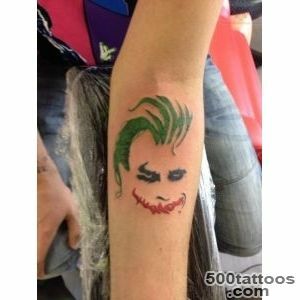 This makes it the image of a symbol of frustration and inconsistency, a reminder that life is largely hypocritical and bad, and everyone can rapidly change the mask. 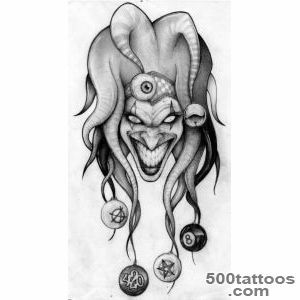 Jesters and clowns in ancient times were a symbol of false, unworthy monarchs, not loved by the people. 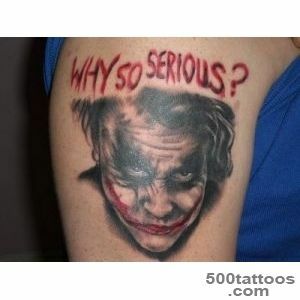 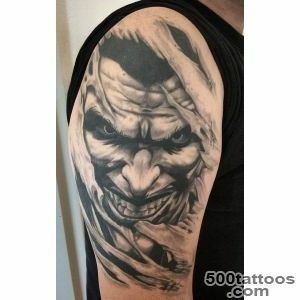 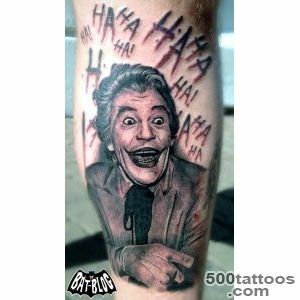 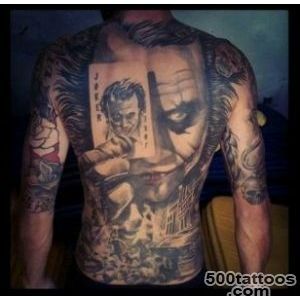 Therefore, it can be argued,Joker the tattoo has a long history. 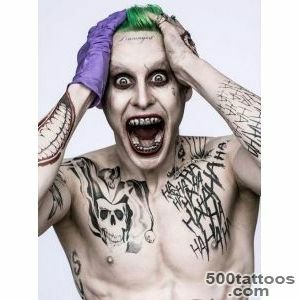 The most meaning joker image is revealed in the criminal tattoos. 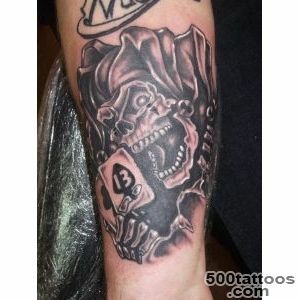 Often it is a rogue ( " razvodily ") and gambling gambler who always wins in the cards ( " Katale " ). 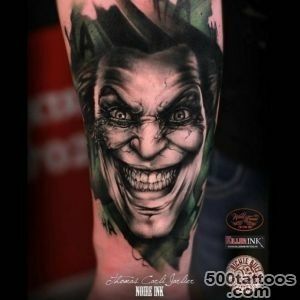 Positive aspects of joker tattoos can be found in Russian folklore,if we draw a parallel between the character and considered jester portrayed in fairy tales and fables. 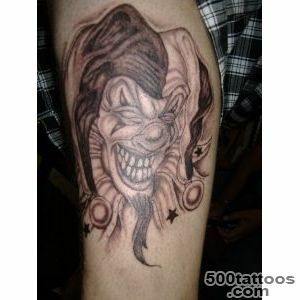 The image of the jester, the fool, the clown was a reflection of human weaknesses in a satirical light. 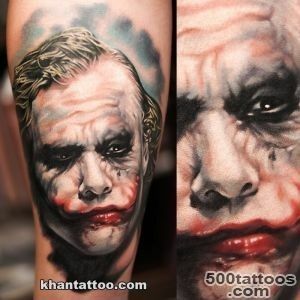 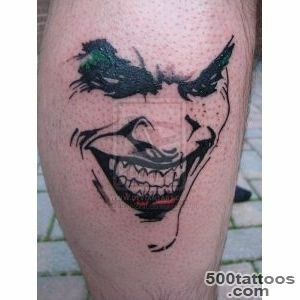 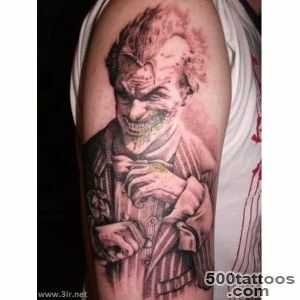 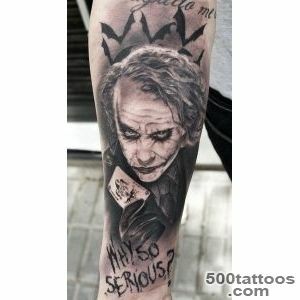 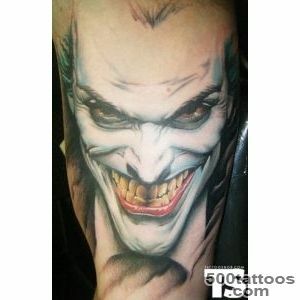 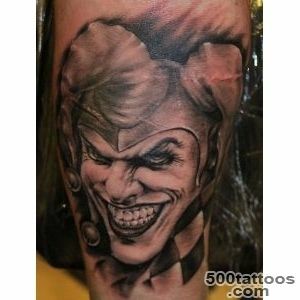 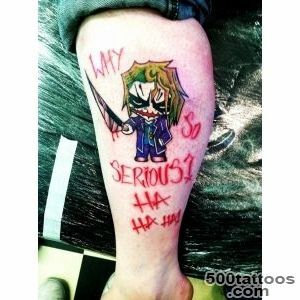 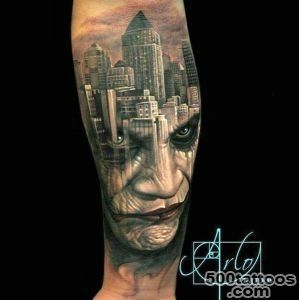 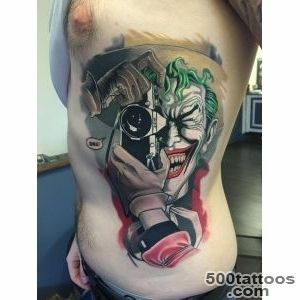 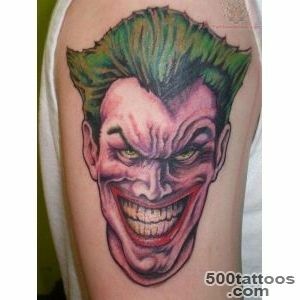 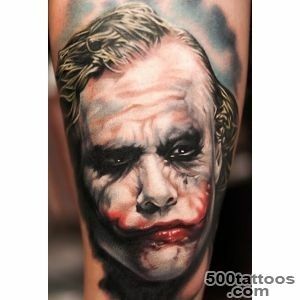 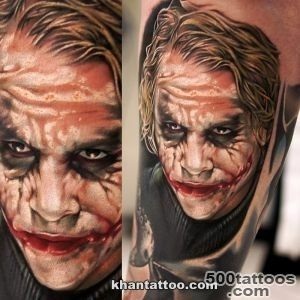 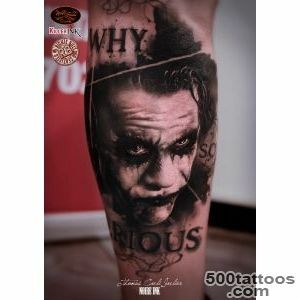 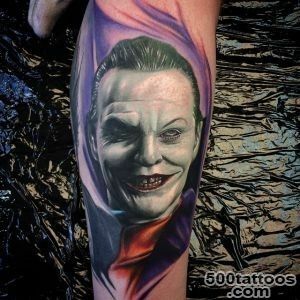 Tattoo Joker became widespread after the show in 2008, a film about "The Dark Knight " in which the protagonist was a joker, crazy,but at the same time very smart. 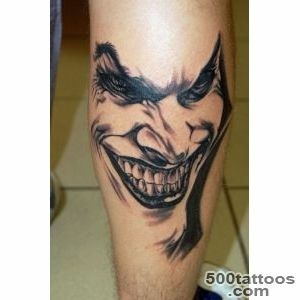 Those who saw the tattoo with a woman dressed as a joker, you should know that the significance of this tattoo is to ensure that success in life - the phenomenon is quite unreliable and changeable, like life itself, so you should not unduly rely on fortune, and should seek all himself,relying solely on their own strength. 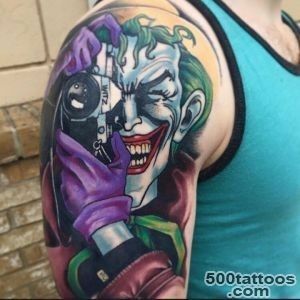 This tattoo is done by those who already have a bitter experience. 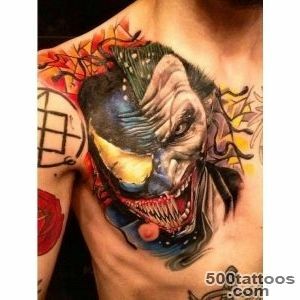 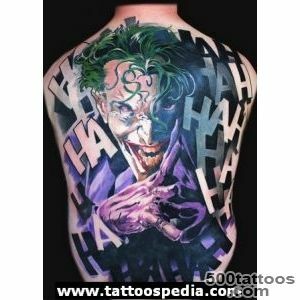 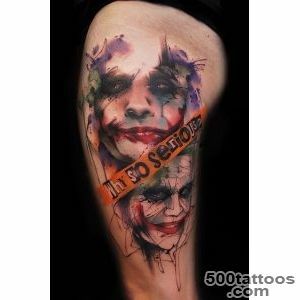 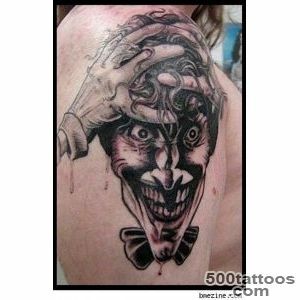 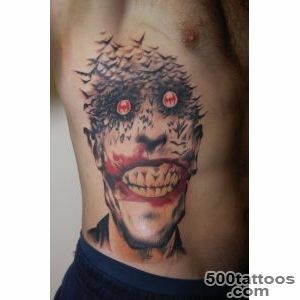 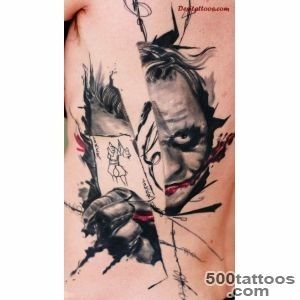 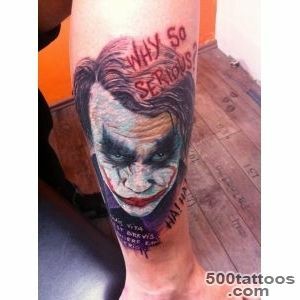 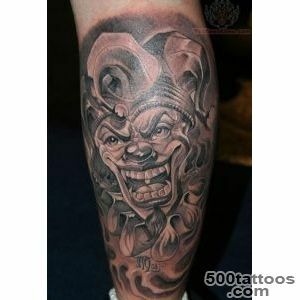 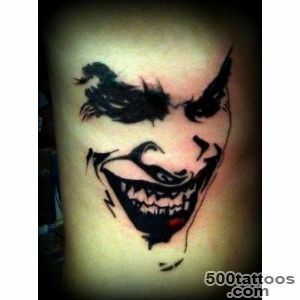 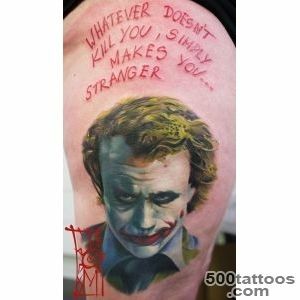 Along with the various interpretations of tattoos Joker especially can distinguish one rather interesting. 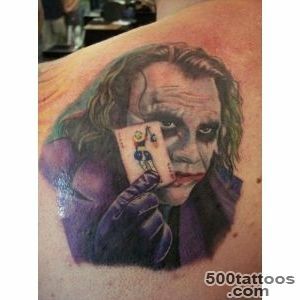 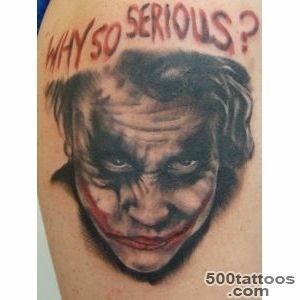 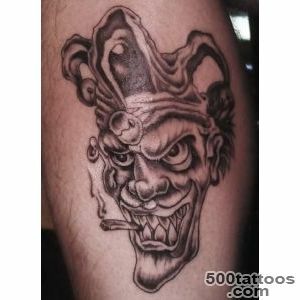 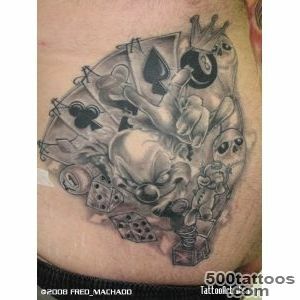 This tattoo grustyaschego joker, endowed with deep meaning. 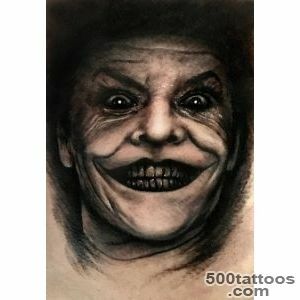 Its importance is to ensure that the person who wears it,despises the role mask that daily dress people in different life circumstances, whether at work or at home, in a team or in communicating with friends, and so on. 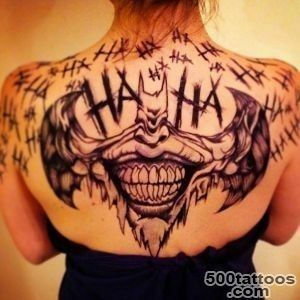 n. This contempt for those situations where a person should smile in society, and coming home, crying bitter tears. 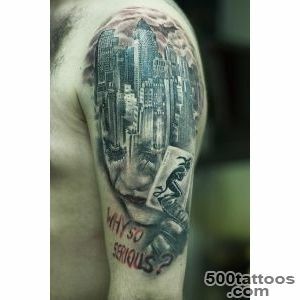 This map is the desire to fix the world for the better,show themselves present, true.